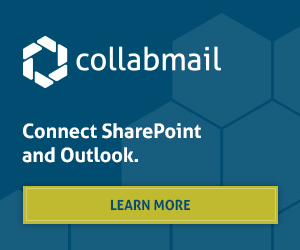 Collabware is proud to be an exhibitor at SharePoint Fest Seattle 2017 in the Washington State Convention Center. Please register and come join us, along with hundreds of SharePoint and business professionals for four days of learning, workshops, and great discussions! Come by the Collabware booth in the exhibit hall and see a demonstration on how Collabware products can help you increase employee productivity and ensure organizational compliance requirements are met through automated case management, workflow, and records management. Register now to attend technical classes and workshops – taught by Microsoft Certified Trainers, Microsoft engineers and Microsoft MVPs – covering Enterprise Content Management, Power Users, Social SharePoint, Business Value, Implementation/Administration, Office 365, Workflow, Business Intelligence, Special Topics & SharePoint Development. Choose one complete learning track or mix & match based on what content best meets you and your organization’s current needs! At SharePoint Fest, there are sessions created for SharePoint administrators, software developers, information architects and knowledge workers which will ensure that you and your team walk away with as much knowledge as you desire to truly leverage SharePoint in your current environment! Click here to register for SharePoint Fest Seattle Tickets and take advantage of our promo code for a discount!